The Washington State Legislature released the state Omnibus Operating Budget (PSSB 5883) for 2017-2019 early in the morning Friday, June 30, 2017. 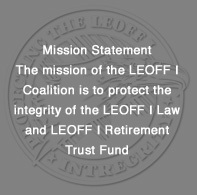 There was no merger of the LEOFF 1 Retirement Plan. The state legislators are leaving our retirement money alone. Comprehensive Annual Financial Report - 2015: Click here to read the full report. The link above goes to the full document. Information pertaining to LEOFF Plan 1 can be found on pages 21, 25, 38-39, 42, 60-62, 80, 84, 88, 91, 128, 130, 132, 134, 138, 142, 147, 151, 155, 158, 162, 177, 190, 208, 220, and 228. Should we ask for more benefits? 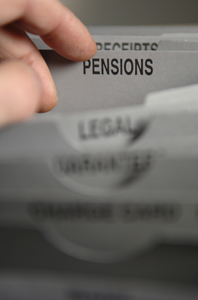 Pension report says longer lifespan means a shortfall is coming in state pension plans. The COLA for 2012 is estimated at 3.171%. This is LEOFF 1 retiree William Kantor's best ESTIMATE. The State will announce official COLA information sometime in March 2012.